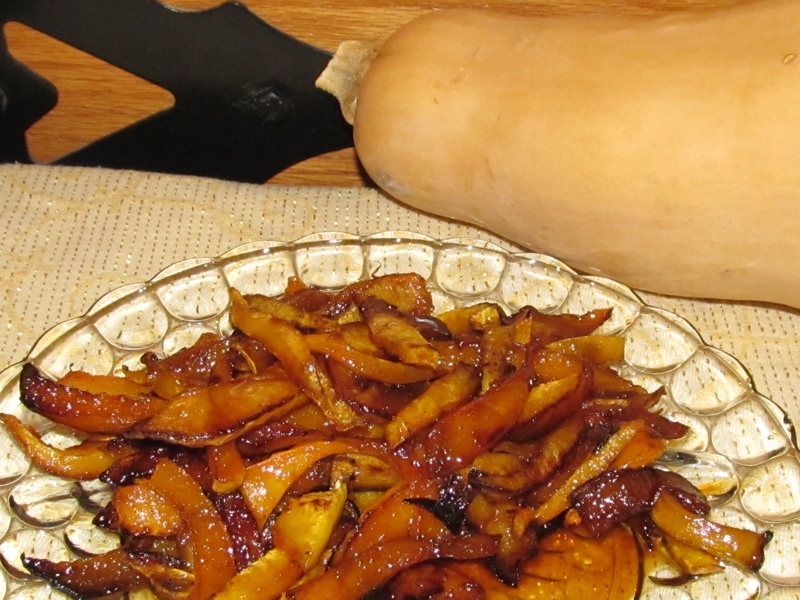 Variation: To server for an everyday meal, pour enough oil into the skillet to fry squash until crisp, like french fries. Drain to paper towels. Salt and use agave nectar as a dip. You can also do this with sweet potatoes, for sweet potato fries.